This article covers challenges and trends in the determination of some major food chemical contaminants and allergens, which—among others—are being monitored by Health Canada’s Food Directorate and for which background levels in food and human exposure are being analyzed and calculated. Eleven different contaminants/contaminant groups and allergens have been selected for detailed discussion in this paper. They occur in foods as a result of: use as a food additive or ingredient; processing-induced reactions; food packaging migration; deliberate adulteration; and/or presence as a chemical contaminant or natural toxin in the environment. Examples include acrylamide as a food-processing-induced contaminant, bisphenol A as a food packaging-derived chemical, melamine and related compounds as food adulterants and persistent organic pollutants, and perchlorate as an environmental contaminant. Ochratoxin A, fumonisins, and paralytic shellfish poisoning toxins are examples of naturally occurring toxins whereas sulfites, peanuts, and milk exemplify common allergenic food additives/ingredients. To deal with the increasing number of sample matrices and analytes of interest, two analytical approaches have become increasingly prevalent. The first has been the development of rapid screening methods for a variety of analytes based on immunochemical techniques, utilizing ELISA or surface plasmon resonance technology. 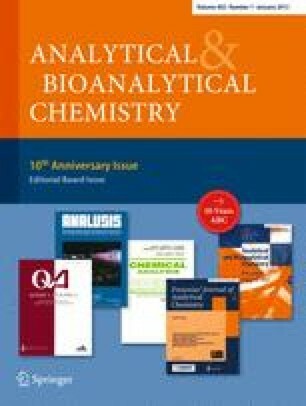 The second is the development of highly sophisticated multi-analyte methods based on liquid chromatography coupled with multiple-stage mass spectrometry for identification and simultaneous quantification of a wide range of contaminants, often with much less requirement for tedious cleanup procedures. Whereas rapid screening methods enable testing of large numbers of samples, the multi analyte mass spectrometric methods enable full quantification with confirmation of the analytes of interest. Both approaches are useful when gathering surveillance data to determine occurrence and background levels of both recognized and newly identified contaminants in foods in order to estimate human daily intake for health risk assessment. This article was written as a result of a one-year tenure of the first author at the Food Research Division of Health Canada’s Bureau of Chemical Safety. In this respect, the first author would like to express his great gratitude to Dr Samuel Godefroy, John Salminen, Barbara Lee, and all members of the FRD for their great support and enthusiasm.